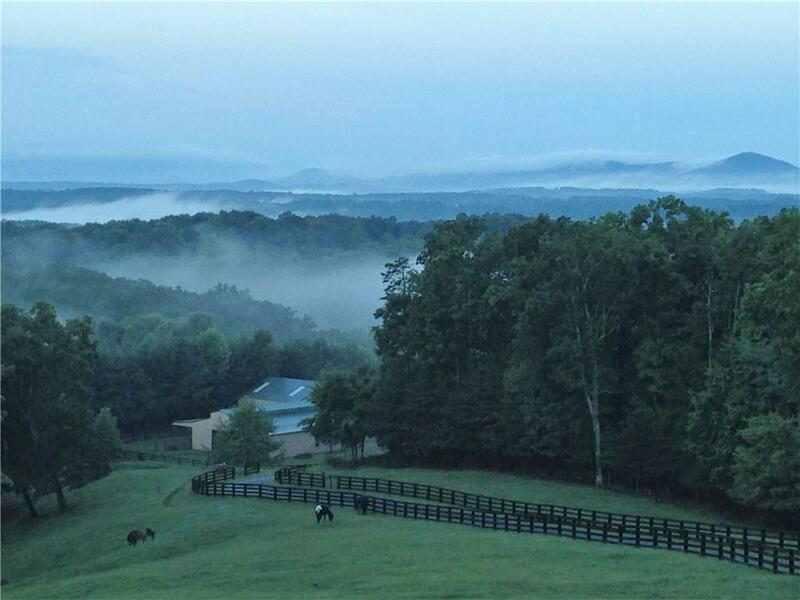 Beautiful 17 acre horse farm, long range mtn. views overlooking Jasper! Open floor plan for Kitchen, Great room & dining. Brazilian cherry floors. Stacked stone fireplace floor to vaulted knotty pine ceiling. More views from terrace level w/ Vermont Castings wood burning stove plus bedroom, full bath, small game room area & add't. room can be used for golf cart, UTV or BR. 8 stall Metal barn has everything an equestrian needs - Tack room, BR, shavings bin, eff. kitchen, Plus Large eqpt. barn vehicle/Trailer storage. 4 pastures. Direct access to private riding trails. Directions: 515 N To Jasper, Right On 53 (Ingles/Kroger). Go Thru Light On Main Street. At Next Light, Turn Left On Burn Mtn. Rd. Then Rt On Cove Rd. Go 2.37 Miles, Turn Left On Grandview Rd., Go 1.19 Miles, Turn Rt On Kelso Rd. Go Approx. .3 Miles, Home On Right. Sign At Driveway "hearts Content Farm".